When it comes to electric garage door openers, Jaydor's experience is second to none. A garage door opener is a convenient way to easily access your garage without having to get out of your car or do any heavy lifting. Jaydor has had a stellar track record with repairing and installing garge door operators in Norristown, PA and the surrounding areas for over four decades. We are proud to offer garage door openers from Liftmaster. Liftmaster garage door operators are durable and out-perform the competition time and again. Available in a numerous horsepower levels for any application, Liftmaster openers are also safe and secure. Don't forget the added accessories, such as garage door remotes, for convenient and easy garage door access at any time. 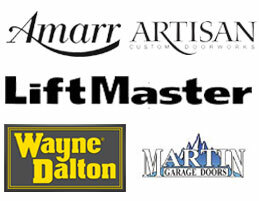 Whether you have a residential or commercial garage door, Jaydor offers an opener for all your needs.